By Singyin Lee in Culture. Updated on December 31, 2014 . Being the lousy joker I am, I go around telling people that smartphones are smart so you don’t have to be smart to actually learn how to use them. The things that we can do with our smartphones today is unheard or unthought of less than a decade ago, and yet most of us today use our smartphones and tablets primarily to check our emails, update Facebook statuses, take photos and give people the opportunity to practice the art of facepalmistry. Case in point, the iPhone 5S has only been made available last week, and already there are wacky and weird ways people are testing the Touch ID technology that uses your fingerprint to unlock the phone. 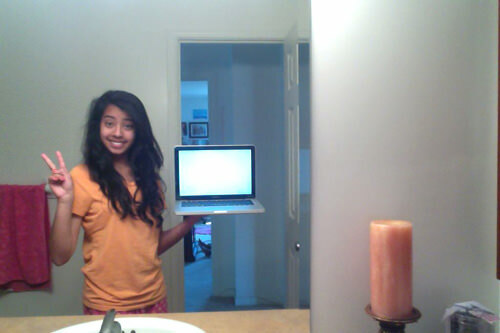 You can be sure that more weird things will pop up as more people get their hands on the new iPhone model. While we wait for the insanity to hit the Web, here are 5 ways we are currently misusing mobile technology. McCain was caught playing Poker on his iPhone during the Syria hearing and the Internet went nuts (for maybe two minutes) but when we hear about politicians watching explicit materials in parliament meetings, no one bats an eyelash. In case this is news to you let me just add that it happens in more places than you think. Huffington Post revealed that more than 300,000 attempts were made to access adult sites at work in the House of Commons (by staff and Members of Parliament). Elsewhere, three ministers in India resigned after they were caught on a news broadcast sharing a clip during a parliament session. An Indonesian MP also resigned after he was caught by a news reporter, watching you-know-what on his tablet during a parliamentary debate. The photograph made the headlines, particularly because he had earlier helped pass a controversial law which could put couples kissing in public (among other lighter-than-his offences) into prison for a heavy 15-year sentence. In Thailand, a Thai MP was caught (in photos) going through pictures of women in bathing suits. He denied that he was intentionally looking at them, adding that he had clicked on a link that downloaded the images instead. 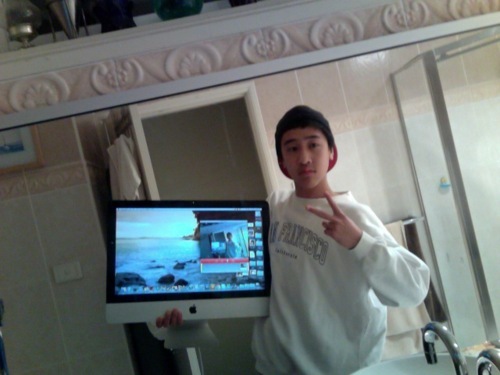 Draw your own conclusions from the photos here. 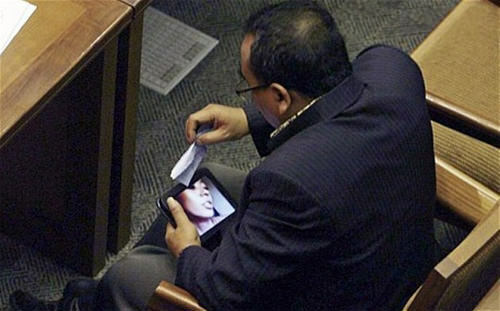 More recently, a Thai senator was found doing the same on his iPhone during a senate meeting. Then there’s the one about a Croatian MP, a Canadian one and one from New South Wales. And those are the ones who were caught. I came across this beauty the other day. In the shot below, there’s supposed to be a recital or a concert… I can’t tell because all the iPads are in the way. Overzealous parents were trying to get a video of their children, who were performing right in front of them. 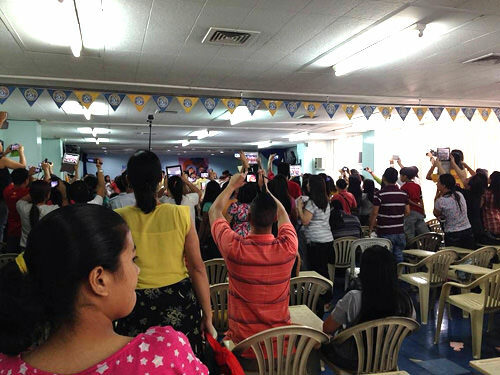 Because of this, all the parents at the back can see are the back of other people’s heads and outstretched iPads, the kids have to make do with the back of smartphones and iPads instead of the proud faces of their parents. Way to go guys. I’m sure it is more important for you to have that shaky recording of your child’s performance on Facebook than it is to actually be there for them. How many times are you going to rewatch that recording? As comedian Louis CK will tell you, zero. The mother who took this photo had to retreat to the corridor to wait for her son to finish his singing, unaware that nobody in the audience could actually see any part of their performance. The kryptonite to a child’s time with the iPad are in-app purchases. The iPad is a great learning tool for children, but we’re more attracted to games instead. 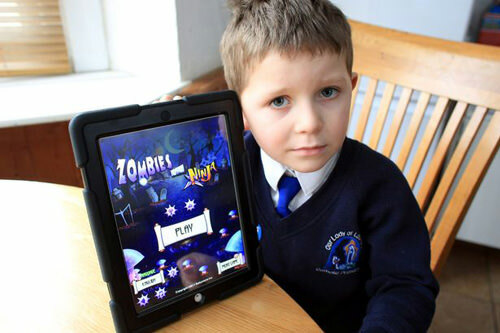 Five-year-old Danny is no different; what is, is his love for Zombies vs Ninjas which overwhelmed his parents with the £1700 bill he racked up playing the game. Even with the multiple emails iTunes sent Danny’s parents, informing them of the purchases Danny made, they only took notice when the credit card company called to informed them that 19 transactions of £69.99 were made to the card for power-ups and weapons in the game. Guess who is in trouble? The good news is Apple has given them a refund, and they learn the importance of disabling in-app purchases when leaving the iPad to their kids. But this situation happens more often than we realize. Here’s another case in the UK with a £4000 bill by an 8 year old, and a couple in Singapore, where one kid spent $4300 on Candy Crush Saga alone. One wonders what happens in the background between the developers and Apple when refunds of that magnitude happen. Facebook is a powerful tool that could reunite families, reconnect the adopted with their biological parent(s), help you find stolen cars and gadgets, and even missing children or pets. The social site itself allows you to easily share and spread the news, but it is up to us to keep tabs on developing updates. 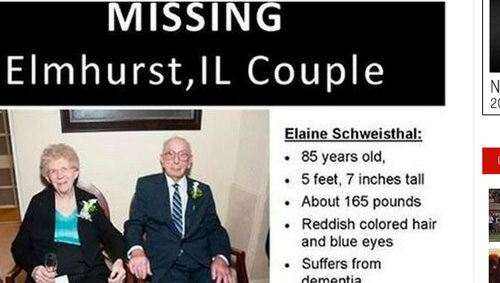 I have come across plenty of missing child Facebook pleas shared on my news feed, only to find out that in many cases the child has been found a few days after the status was posted (months ago!). Whatever you see on Facebook, it may help to check up on the details before clicking that Share link. 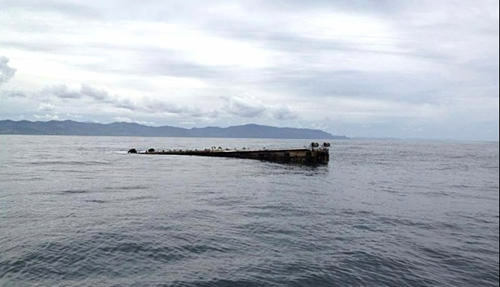 Take for instance, this case where a floating dock was mistaken for tsunami debris off the coast of Pacific City. The misunderstanding led to a search by boat and helicopter by the US Coast Guard to locate the ‘debris’. A quick confirmation with the person who posted the photo would have saved everyone the trouble. If for some unfortunate reason you find yourself needing to use social media to find something missing one day, here are a few things to consider when putting up your post for help. 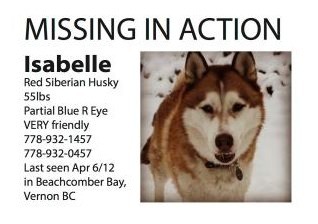 We’re using a missing pet dog as an example. In this case, it’s good to remember that posting all this info in a community page, or a pet lover’s group page will be helpful. 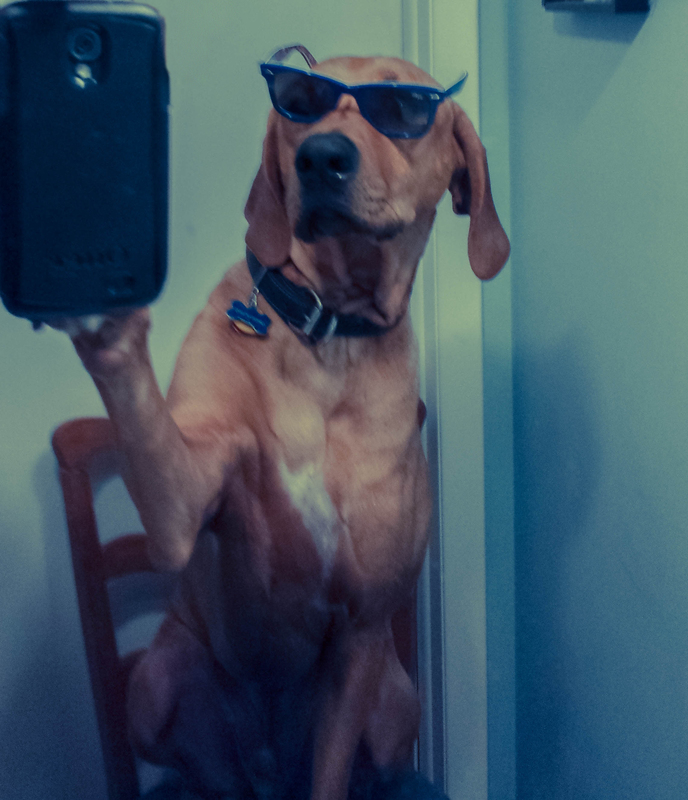 Here’s another interesting study which I wished I had included in my an earlier post about the effects social networks have on you – selfies are bad for social media. More precisely, constantly sharing photographs of yourself will make you less relatable to your peers. However, psychologically, they are important because it is a form of self-exploration. 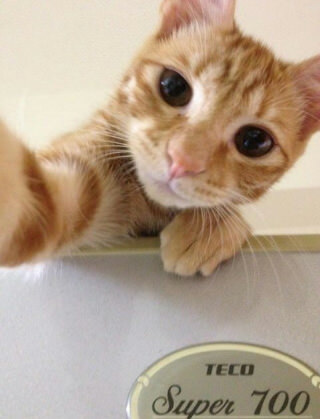 Plus it is the top reason bathroom mirrors worldwide are becoming a site for imprompt photoshoots. 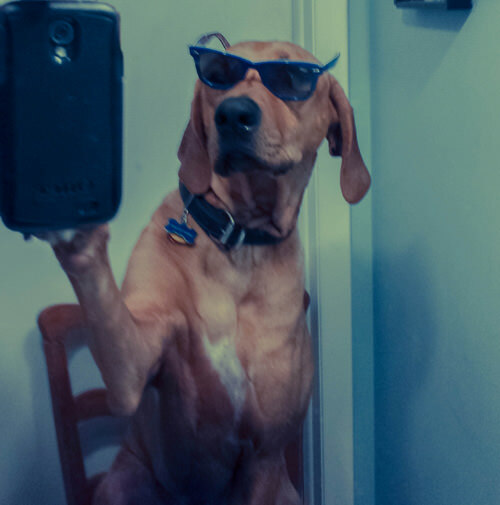 But selfies have since taken a life of its own. Take for instance, Selfies At Serious Places. If you haven’t seen it, get your facepalms ready. A photo-op at places with a history of human suffering is a whole new level of depravity that these subjects are oblivious to. 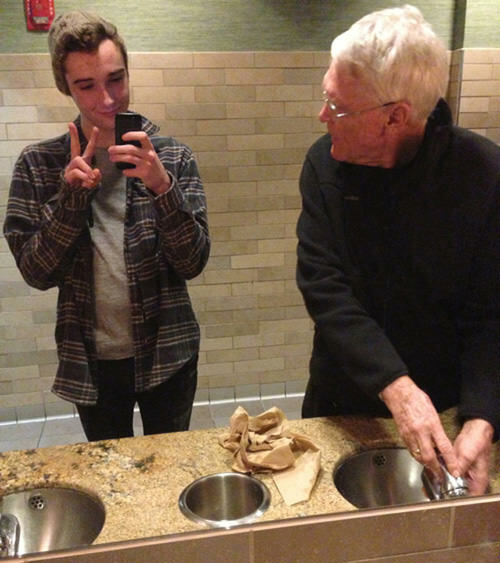 Then, there is the behind the scenes look at how bathroom selfies are being taken. 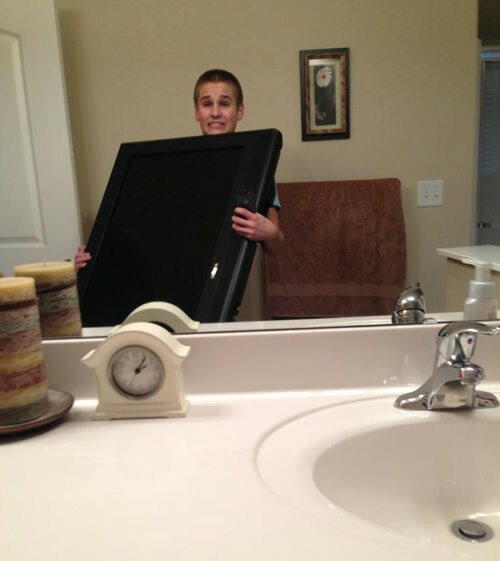 While we’d usually see teens holding up their smartphone or camera to take a bathroom selfie, you’d be surprised what other devices teens are using these days. 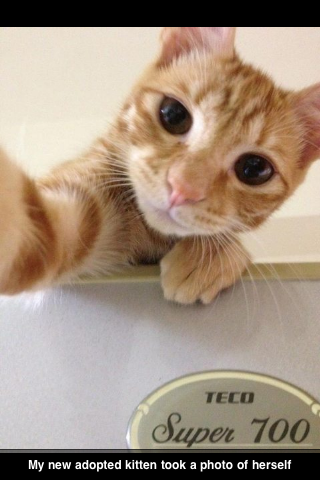 Plus, selfies are limited to humans no more. That’s all I could muster for now, but if for some reason you want more, google ‘Sleeping Selfies’ and ‘Selfie Fail’. 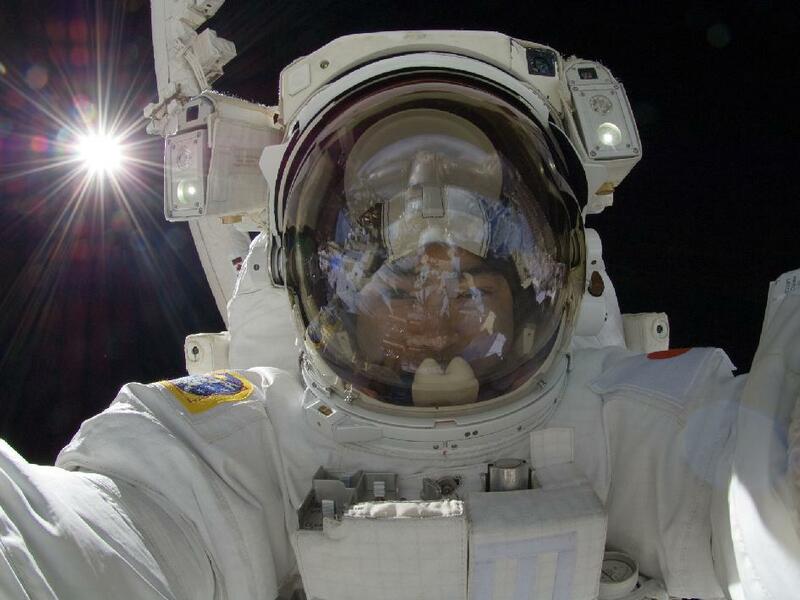 Lastly, to show you that some people are better at selfies than others, is astronaut, Aki Hoshide. In closing, the way we misuse technology is a clear example of how we are not much different from one another. In fact, while we may find each other on the opposite side of the fence when it comes to the hardware and software we use, and our preferences in technology, when it comes to our interaction with technology, yeah we all do stupid things with it.